In just a few weeks from now, the most talked about Female Rapper Eva Alordiahwould be releasing her second E.P. project. Sources confirm the E.P, which has been ready for months now, would serve as a pre-release to the Rapper's debut album. Never one to fail in delivering well-thought out Rap lyrics, Eva shows immense skill on the Lead Single "DEAF". 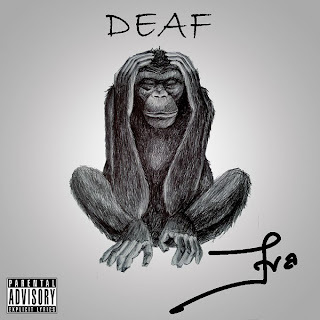 Produced by long time friend and ProducerGray Jon'z, whom we have come to know from his works with Eva on songs like 'High' and 'Lights Out', "DEAF" has Eva firmly staking a claim as Nigeria's number one female rapper. Her Fans would be delighted to know the accompanying Visuals for 'DEAF' directed by Patrick Elis is ready for release and would be dropping soon.